This is a very good lasagna. What we found interesting was the day we made it, it was just in the “okay/good” pile. The next day, after a night in the fridge, it morphed into something you would taste at a fancy, exotic Italian restaurant. It got 100x better! It had more depth of flavor and didn’t taste bland at all. 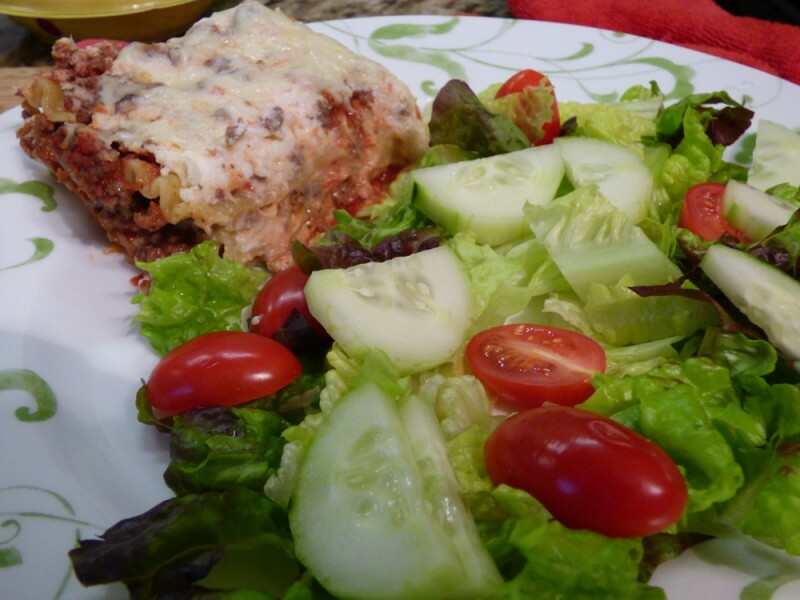 **We used 85% ground beef, ricotta, and shredded Italian cheese. For the ricotta, don’t use fat free ricotta, at least use the medium fat one like we did – I think the ricotta was 6g fat a serving. Enjoy! Set oven at 350 degrees and preheat. Spray 2 qt. 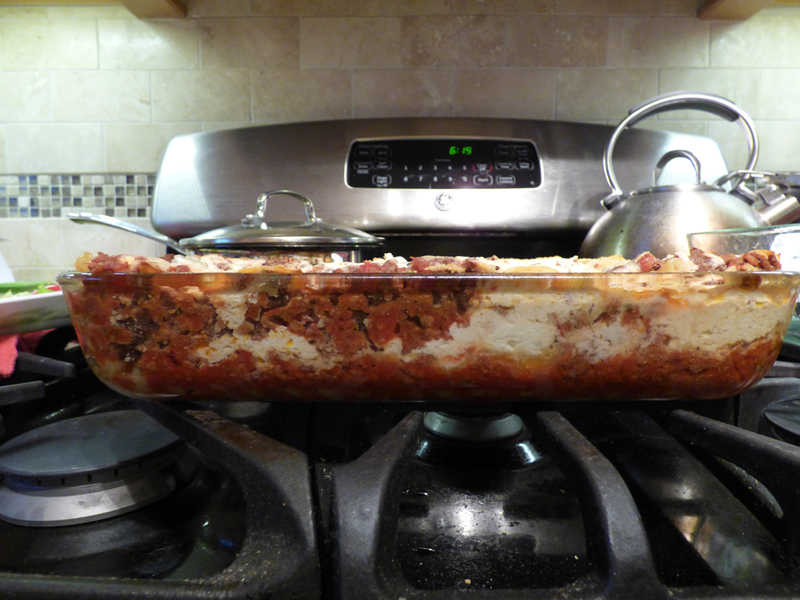 rectangular baking dish with cooking spray. Spoon 1 cup crushed tomatoes into baking dish. Cook meat in large skillet, drain. Stir in remaining undrained tomatoes, bring to boil. Place 2 uncooked noodles in dish, top with 1/3 of the meat/sauce mixture and 1/3 of the Italian cheese. Top with cottage cheese (preferably ricotta! ), then remaining noodles, meat mixture, and Italian cheese. Cover with foil and bake in preheated 350 for 1 hour. Put a jelly roll pan under the baking dish to collect any spillage. 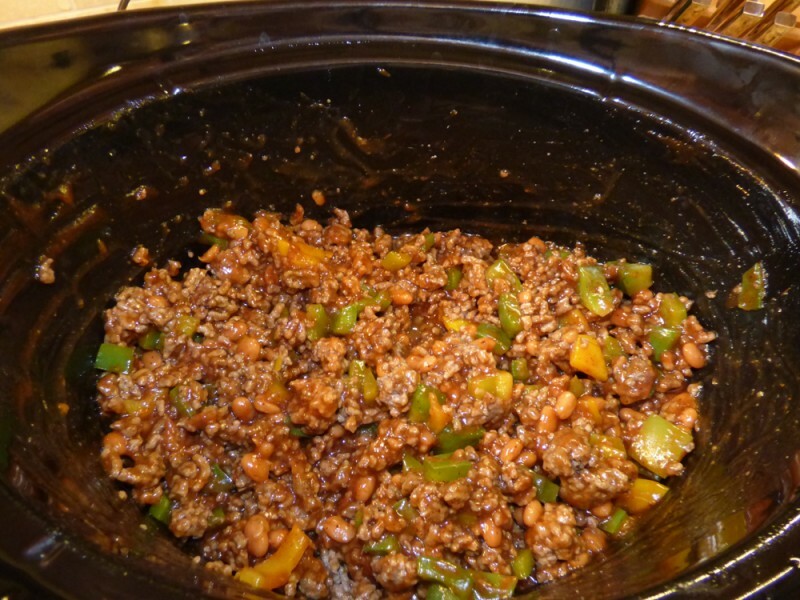 This is a cool recipe I found in my CrockPot slow cooker book that I love. 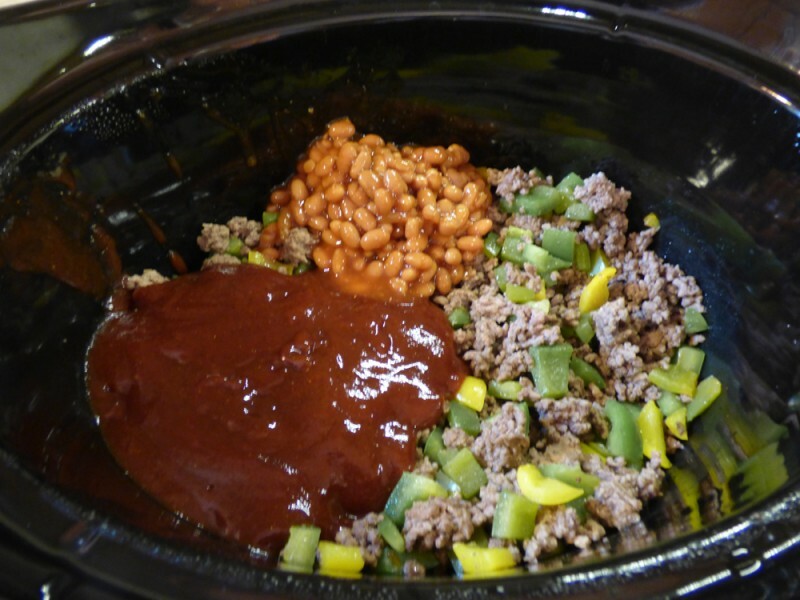 It takes your classic sloppy joe ingredients and adds flavorful, easy add-ins like baked beans, bell pepper, and BBQ sauce. It’s really better than I thought it’d be and very yummy! It’s extremely simple – look at the directions! This is one you could throw together in the morning in about 10-15 minutes and have a scrumptious meal come dinner time. We’ll definitely make this again! Brown ground beef, onion, bell pepper, and garlic 6-8 minutes in large skillet, stirring to break up meat. Drain and discard excess fat. Transfer beef mixture to slow cooker. 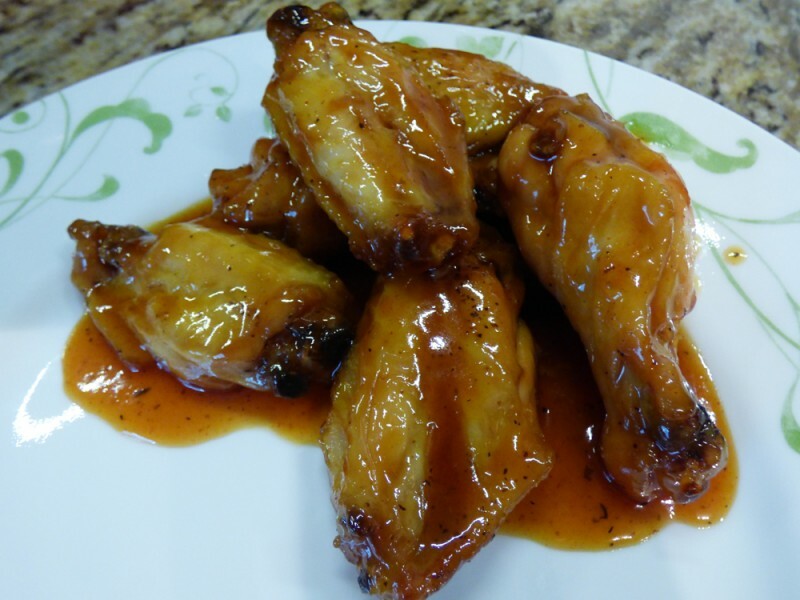 Combine ketchup, BBQ sauce, vinegar, Worcestershire sauce, brown sugar, and chili powder in small bowl. Transfer to slow cooker. Add baked beans. Stir well to combine. Cover, cook on HIGH 3 hours. (I did low and it was fine). 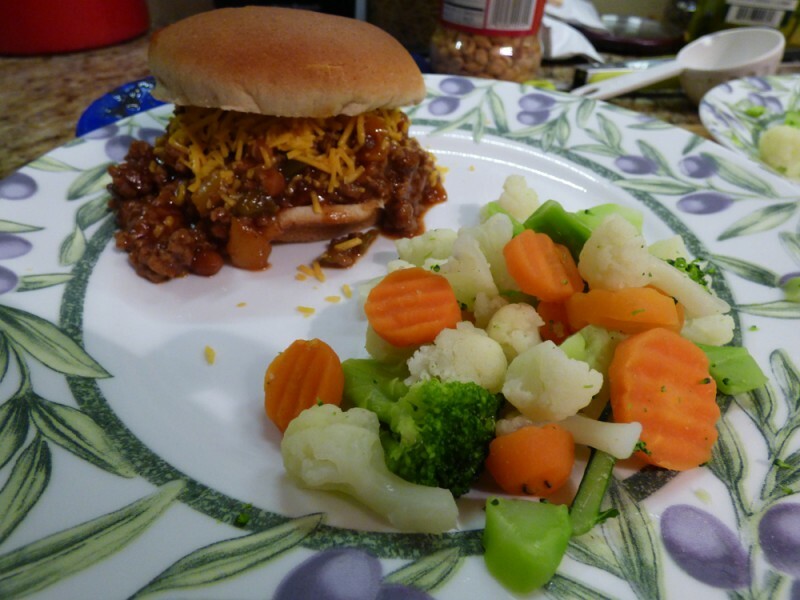 To serve, fill split rolls with 1/2 cup sloppy joe mixture. Sprinkle with cheese, if desired, before topping sandwich with roll lid.